Palm Beach County, FL– Florida Regional Center, the U. S. government-approved agency that provides investment opportunities in Florida real estate development projects for foreign nationals through the U.S. government EB-5 Visa Program, has been given full approval as a designated regional center by the United States Citizenship and Immigration Services (USCIS). 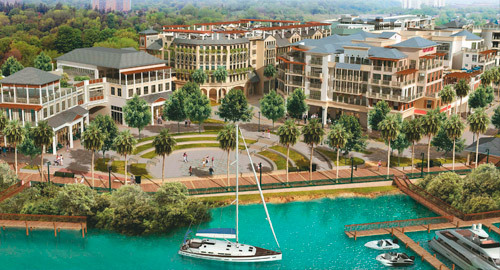 The approval gives the green light to the agency’s Harbourside Place development project in Jupiter, Florida. Harbourside Place features an entertainment plaza and outdoor amphitheatre, retail space, restaurants and eateries, office sites, hotel accommodations and marina. This full-scale development encompasses a thrilling range of opportunities for business, visitors and residents. Each year, the U.S. government reserves 3,000 green cards for foreign investors who invest in designated regional centers through the EB-5 Visa Program. These initiatives enjoy full government support as they stimulate the economy, generate at least ten jobs per investment, and promote community development while providing direct access to green cards for foreign investors and their families. The Florida Regional Center will bring the benefits of the EB-5 Visa Program to the business community of Palm Beach County. Regional center projects must be approved by the U.S. government and the main criteria is that each investor’s contribution will create ten sustainable jobs for U.S. workers in a designated geographical region.